3 Bedroom Detached House For Sale in Dronfield for Offers in the region of £450,000. The first to be released of just two executive three/ four double bedroom detached stone built property with Garage due to be completed approximately April 2019. 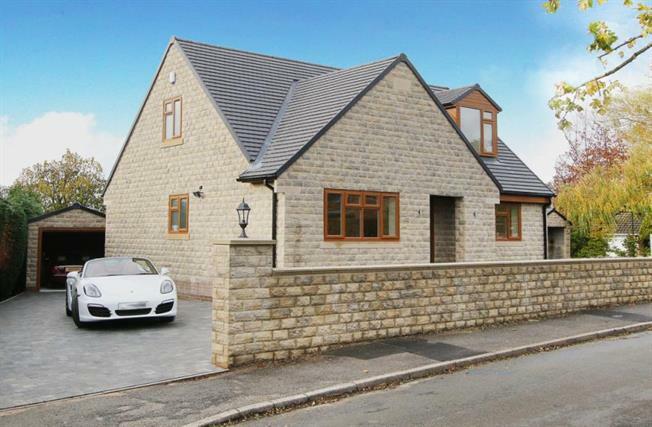 Situated on this desirable road in Dronfield and offering flexible modern living over two floors, to a high standard. A modern entrance door leads into the reception hallway with feature staircase and understairs storage The Lounge/ Dining room runs from the front to the rear of the property and the dining area has French doors leading to the rear garden. Spacious breakfast kitchen with integrated appliances. There will be an option for the choice of kitchen units depending on the stage of the build. On the ground floor is a room to the rear which can used as ether a bedroom or has the flexibility for other uses such as a further lounge, dining or playroom. There is a bathroom with choice of fitments, subject to the stage of the build and a further bedroom to the front of the property situated on the ground floor. A contemporary staircase rises to a landing leading off is a shower room and the master bedroom. There is a second bedroom accessed from the landing. Outside there is a driveway leading to the Garage and rear garden.